Image: Walsh Bay Arts Precinct development. The NSW Government has proposed changes to the state's planning legislation in order to improve the delivery of more than $8 billion worth of development applications. The government believes that changes will ensure clarity and prevent delays in assessment. Department of Planning and Environment Deputy Secretary for Planning Services Marcus Ray said the proposed changes were necessary following the Court of Appeal’s decision in relation to the Walsh Bay Arts Precinct development application. “The decision affects more than $8 billion worth of major local, regional and state significant development applications under assessment or recently approved,” Mr Ray said. “The Government proposes to amend the legislation so it is explicitly clear that staged development applications can include only a concept approval and a single subsequent detailed application. "Construction impacts will be fully assessed before any work can start," he said. The Court of Appeal ruled last week that the development consent for the Walsh Bay Arts Precinct was invalid on the grounds that it was not a “staged development application”and proposed only one subsequent detailed development application (DA), instead of multiple detailed DAs. 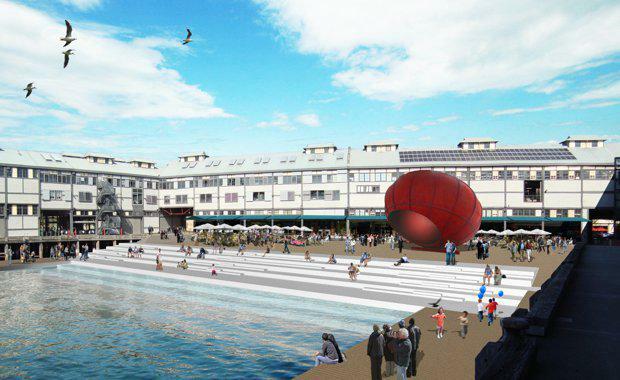 The Walsh Bay Arts precinct development application was the subject of a two-year legal battle. The Court of Appeal majority ruled in favour of the owner of the Simmer on the Bay restaurant at Walsh Bay who had challenged the project on the ground that it had not been lawfully approved. The Department of Planning and Environment said the Court’s interpretation of the Environmental Planning and Assessment (EP&A) Act highlighted the need for a clearer definition of a “staged development application”’ and to set out the level of detailed assessment needed at different stages of the application process. “Our initial investigations estimate that delays because of this decision could have implications for the delivery of 14,500 homes across NSW – 9,000 in Metro Sydney and 5,500 in regional NSW," Mr Ray said. “This two-stage approach has become common practice in the development industry. "The Government is simply making the legislation clearer to ensure the current pipeline of DAs worth $8 billion can proceed without delay. "Mr Ray said staged DAs tend to be for larger, more complex projects. "A concept approval makes it clear what the high-level planning limits are for a development, including its use, shape and scale, and height which provides certainty to developers, financial backers, stakeholders and the community,” he said. “Having multiple DAs when one would suffice would create time delays and additional costs to the applicant, with no commercial, technical or community benefit. These proposed changes to legislation will not affect the Court of Appeal’s decision for the Walsh Bay Arts Precinct.